Separate hype from facts so you can purchase truly pure and natural cleaning products for all around the house. 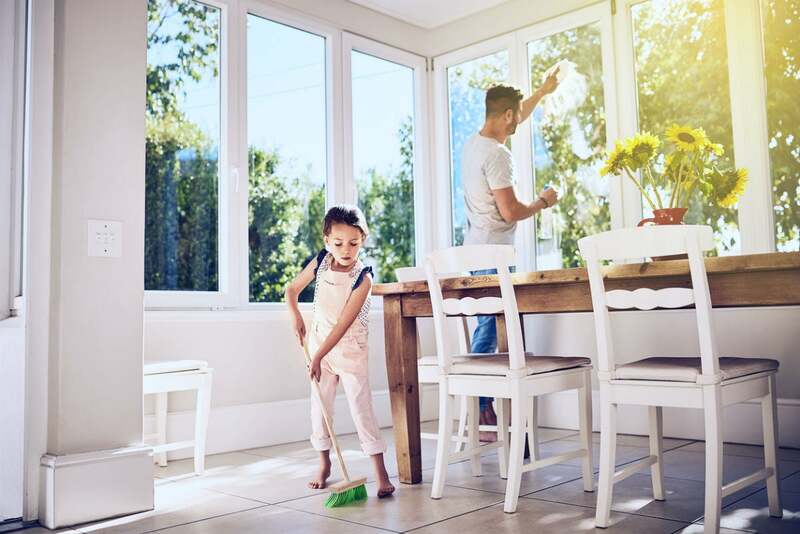 Going “all natural” to protect your family from unhealthy fumes and chemicals is a noble goal—and one that’s not as easy as it would seem. Many products claim to be “natural,” “eco-friendly,” and “non-toxic,” but the cleaning industry is largely unregulated by the Food and Drug Administration. Manufacturers are only required to “list ingredients that are active disinfectants or potentially harmful,” according to Scientific American. Few companies list all their ingredients on the label, making informed buying tricky. Err on the side of caution by following these tips. 2. Be wary of greenwashing. Product packages may proclaim “all-natural” and “nontoxic” to signal product safety, but with no government regulation on such terms, labels could be misleading. 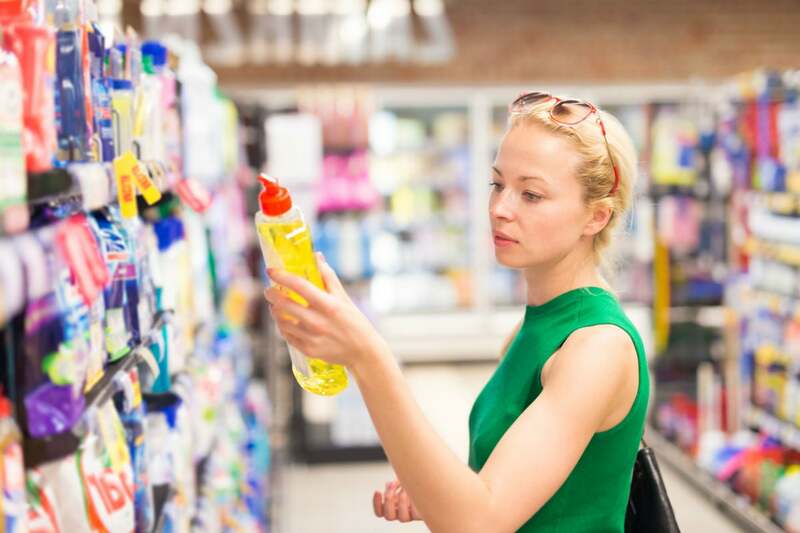 “Some products are marketing themselves as nontoxic but they’re made with potentially toxic chemicals,” says Samara Geller, a researcher with EWG. Other red flag terms include “eco-friendly,” “environmentally friendly,” “green,” “sustainable,” “biodegradable,” recyclable,” “nontoxic,” and “cruelty-free.” Instead of relying on hype, find companies that back up their claims with specific, detailed facts, listed on their labels or websites. 3. Seek seals for security. Choose products that have been certified by Green Seal, an independent standard-setter for green industries. Also look for the Environmental Protection Agency’s Safer Choice seal, which indicates that formulas have been subjected to toxicity research and testing. If products have not been tested on animals, they typically bear the Leaping Bunny certification in the United States. 4. Focus on cleaners you can’t DIY. Commercial products save time and energy, but considering the widespread, problematic practice of greenwashing and high fragrance levels in “eco-friendly” products, are they really worth the higher price tag? 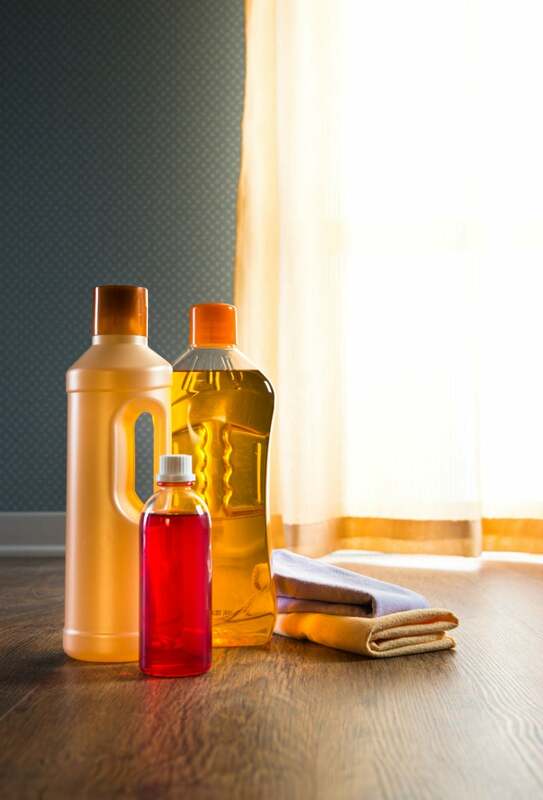 The best solution may be to a href=”https://www.bobvila.com/slideshow/10-home-cleaners-to-borrow-from-the-pantry-48467″ target=”_blank”>make your own cleansers with common household ingredients such as white vinegar and baking soda. You may choose to buy only those specialty products you can’t mix yourself (like non-toxic grout sealer) or cleansers that truly improve your quality of life and add convenience. 5. Shop for safer ingredients. Cutting out chemicals isn’t as difficult when you know which naturally derived disinfectants or stain removers will do the job just as well. Follow this cheat sheet on what to look for on labels when replacing your current cleaning products with more natural options, and for more detailed information about chemicals in common products, check out the U.S. Department of Health and Human Services Household Product Database. If you enjoy fragrance, shop for products naturally scented with essential oils and botanical extracts and avoid products with phthalates or butane. If you need antibacterial or antimicrobial power, rely on tea tree oil, hydrogen peroxide, and citric acid rather than harsh triclosan or quarternary ammonium compounds (QUATS). If cleaning glass, look for vinegar on the label and skip sprays that list 2- butoxyethanol (butyl cellosolve) or ammonia. If stain fighting, choose hydrogen peroxide, vinegar, or lemon juice rather than products with chlorine bleach or chlorinated phenols (often found in toilet bowl cleaners). If you need to scrub, search out cleansers with mildly abrasive minerals such as feldspar and calcite. Steer clear of troclosene sodium, dihydrate—an allergy hazard, included in products like Comet. The best natural cleaning products should be safe and effective. 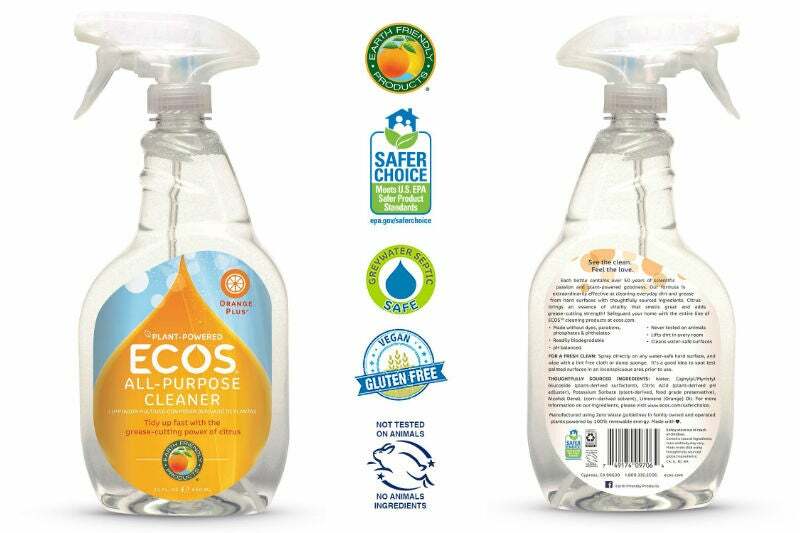 So, to select the recommendations below, we focused on those with high Amazon reviews (4.5+ stars) paired with top scores (A and B grades) on EWG’s Guide to Healthy Cleaning. But, before you apply even the best natural cleaning products, know this: Because each person may have unique sensitivities, you may ultimately have to test a few products to determine the best match for your home and health needs. Be sure to patch test all products before widespread use. For sprays, clean a small, contained area, and wipe with a paper towel. For toilet and floor cleaners, liquid soap, and non-chlorine bleach, use a limited amount once or twice, monitoring for any ill effects. Free of ammonia, phthalates, and other potential health hazards, this nicely priced spray contains glucosides (derived from sugar), citric acid, and denatured alcohol as primary cleaning agents. Citric acid is a natural disinfectant that also cuts through grease and dirt. Plus, there’s a pleasant citrus scent from pure orange oil. The toilet is the last place to skimp on cleaning, but this gentle product can get the job done thanks to lactic acid and sugar-derived glucosides. Lactic acid is known for its descaling properties, as well as being a natural antibacterial. Glucosides are natural surfactants that make cleaners more effective by increasing the wetting and spreading power of a liquid. EWG gives this toilet bowl cleaner an A, citing low concern for toxicity, cancer, and environmental damage. Customers give it glowing reviews—and a 4.5-star rating on Amazon. While it does contain fragrance, the scents are naturally derived from essential oils and extracts. 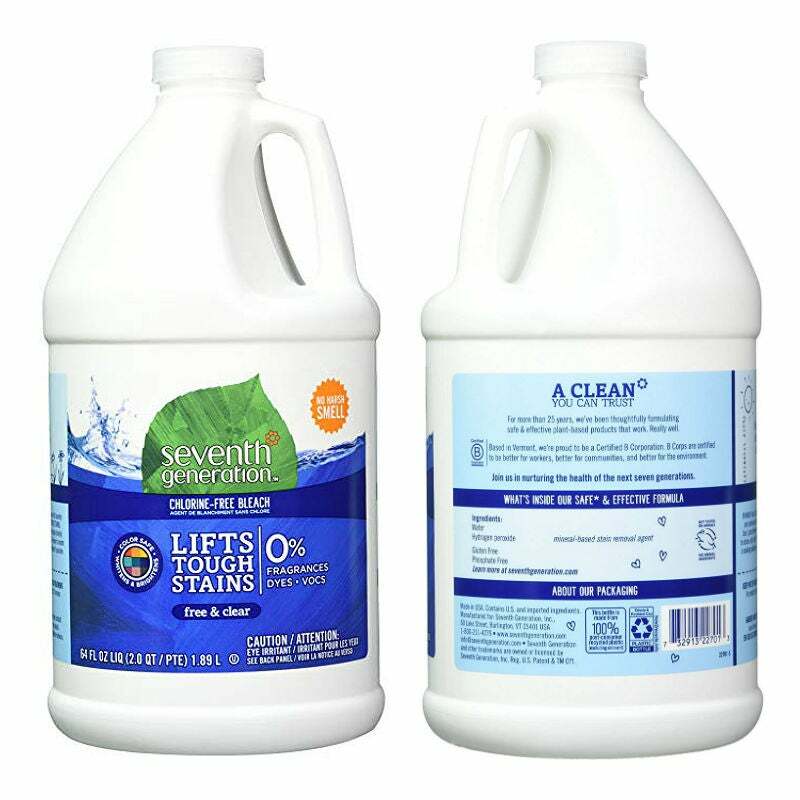 Finally, an “industrial strength” cleaner—without phosphates, ammonia, or bleach. Instead, it boasts lactic acid, produced by fermenting sugars, to naturally descales hard water buildup, calcium deposits, lime, and dirt from kitchen and bathroom surfaces. 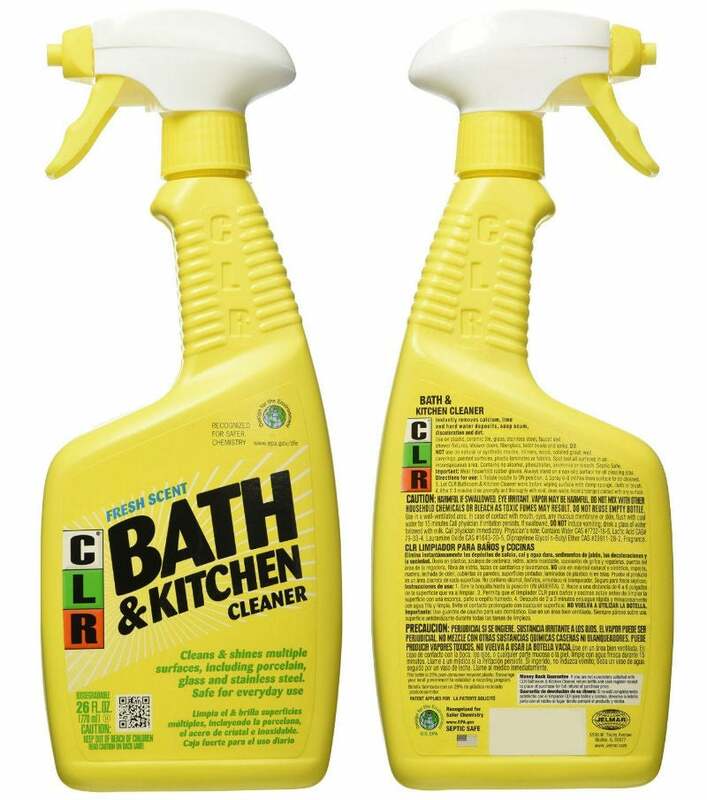 CLR Bath & Kitchen spray also certifies as a Design for Environment cleaner, certified by the EPA. Because of its heavy-duty strength, EWG rates it a B, due to some allergy concerns around propylene glycol butyl ether. With an average four-star Amazon rating, it keeps plenty of customers satisfied. 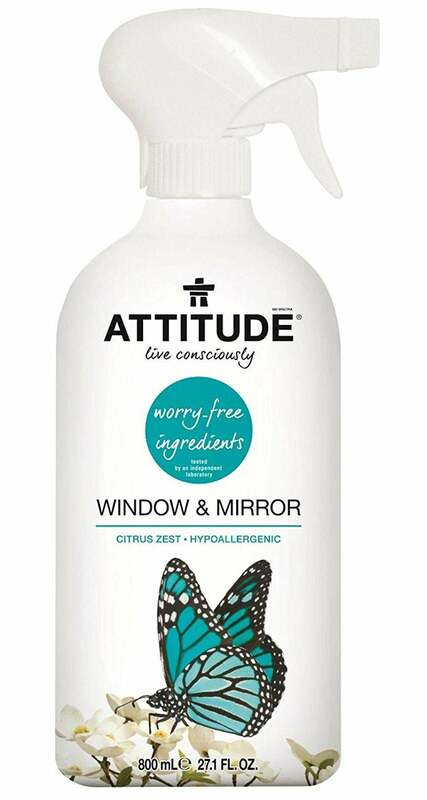 Attitude’s hypoallergenic spray includes sugar-derived glucosides and sodium gluconate, used in the foodservice industry to shine glass without toxins. The fragrance comes from propanediol, made from corn fermentation. Attitude is slightly more expensive than many commercial brands but delivers streak-free glass—and no toxic fumes—say happy buyers. The spray received an A grade from EWG and 4.5 stars on Amazon. 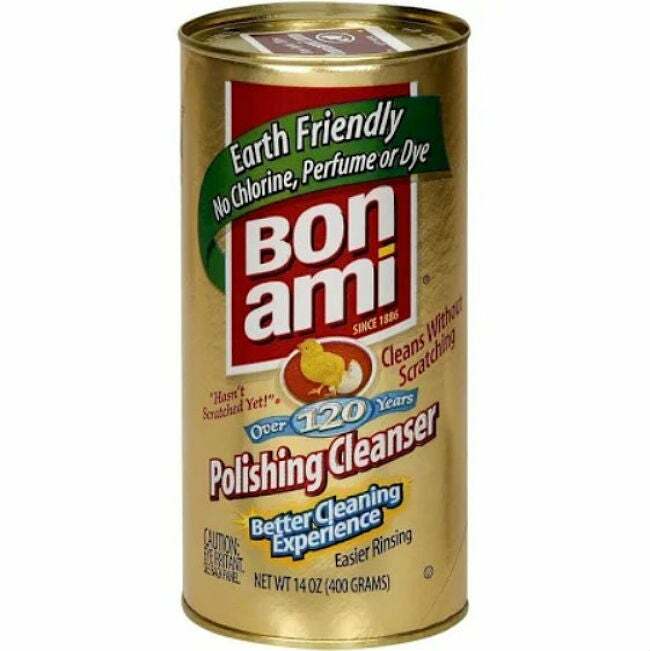 Made of finely ground feldspar and calcite—two naturally occurring minerals—Bon Ami Powder Cleanser is excellent for cleaning pots and pans, bathroom and kitchen fixtures, tubs and showers, most countertops, and stoves. It consistently ranks high among experts and customers alike, with a 4.5-star rating on Amazon and an A grade from EWG. While it is a highly effective scouring agent, it’s not intended for brushed/polished stainless steel, glass/mirrors, some enamels, and lacquered and decorative surfaces. 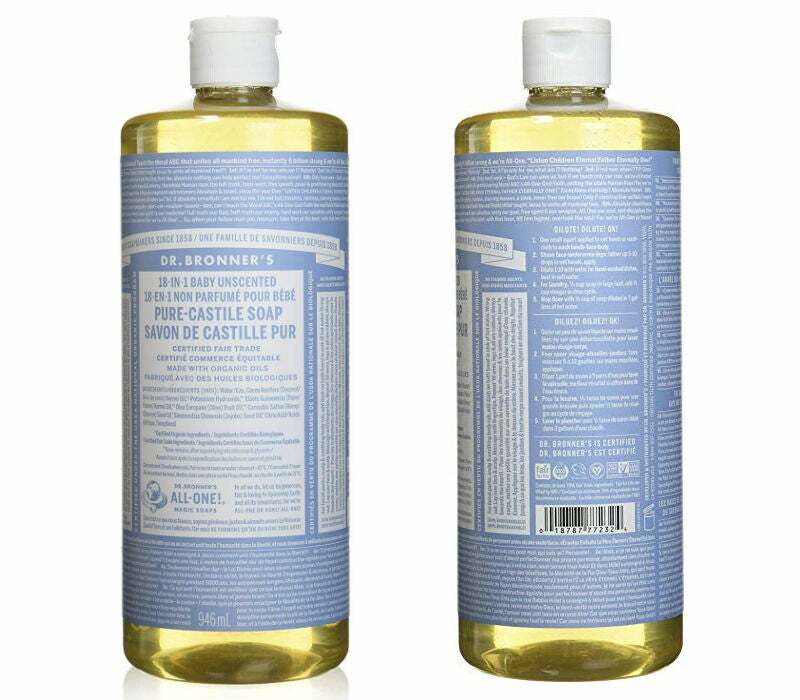 Made mainly from water and oils like olive, palm kernel, coconut, jojoba, and hemp seed, plus Vitamin E and citric acid to reduce pH levels and increase skin softness, Dr. Bronner’s receives praise from most green experts and consumers. While more expensive than many liquid dish soaps, it’s highly concentrated, so a little goes a long way. For the gentlest formula, choose the Baby Unscented variety, which scored an A from EWG, and nearly five stars from Amazon customers. For wood, tile, and even linoleum floors, Aunt Fannie has the solution: water, vinegar, and myristyl glucoside (derived from coconut, palm kernel oil, or corn sugar). Essential oil-scented varieties, such Eucalyptus and Fresh Mandarin, minimize the acidic vinegar odor, but for safety, keep children and pets away from any essential oil-infused products because, as yet, there’s little scientific data on these oils. Still, Aunt Fannie’s receives an A grades from EWG and earns a 4.5-star rating from consumers. 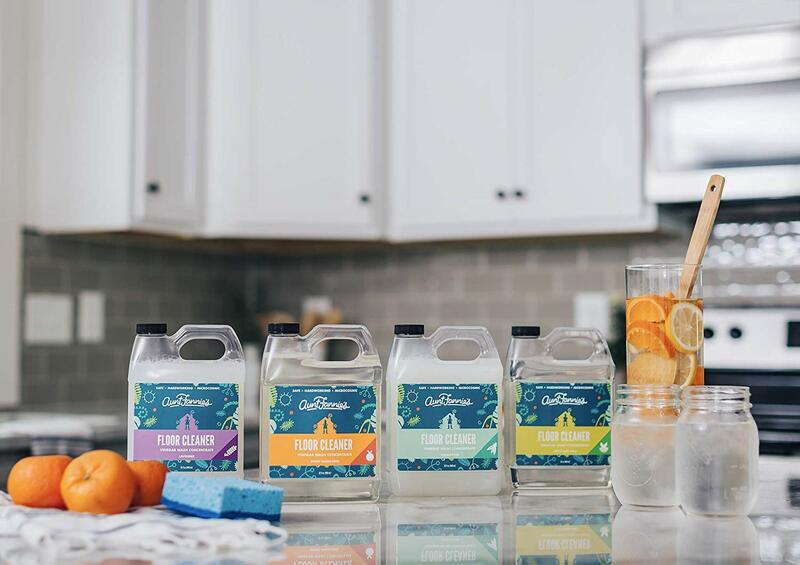 Water and hydrogen peroxide—the only two ingredients in Seventh Generation’s Chlorine-Free Bleach—are an effective alternative to chlorine bleach. 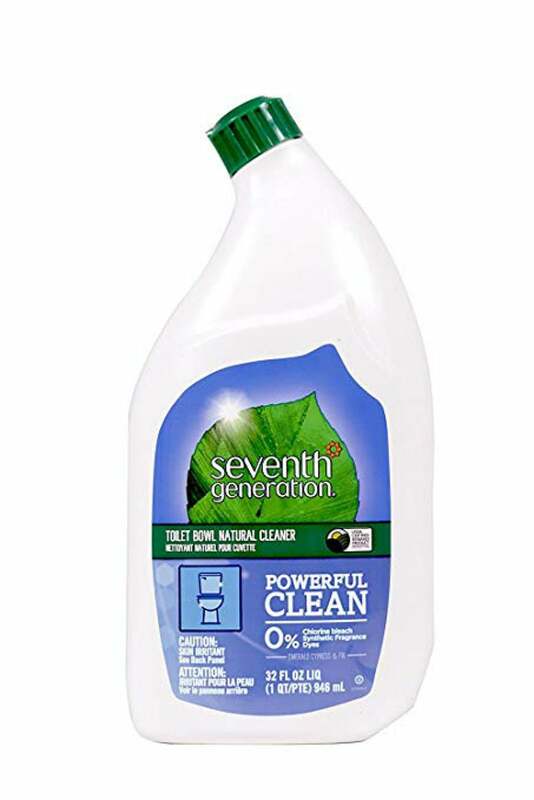 Seventh Generation purports to lift tough stains from clothing and brighten both whites and colored fabrics without fragrances, dyes, chlorine bleach, phosphates, and artificial brighteners. It rates an A from EWG for ingredients and transparency, and between four and five stars in customer reviews—despite the somewhat high price.